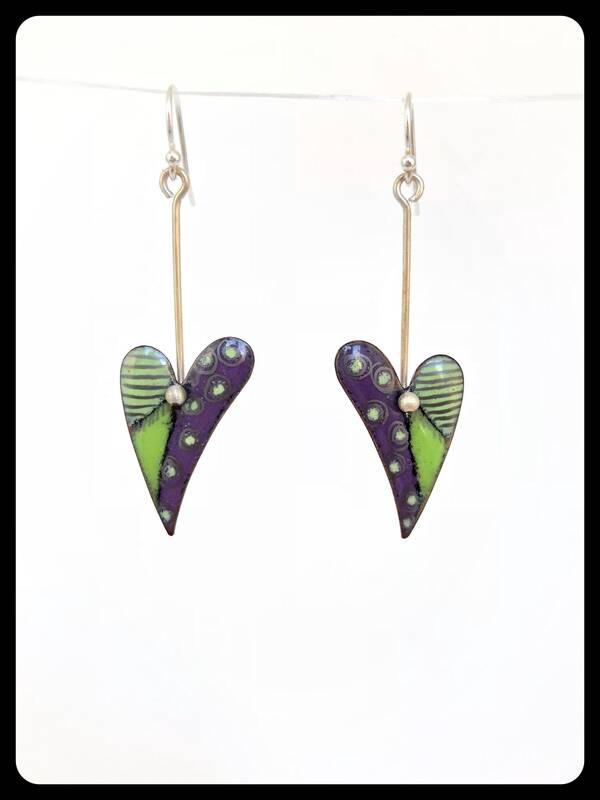 Whimsical little hearts sport purple and green enamels with hand drawn designs imbedded into the surface at the last firing. They hang from 18 gauge sterling silver wire. These cuties are just over 2 inches long and are very light. Ear wires are 20 gauge and are sterling.